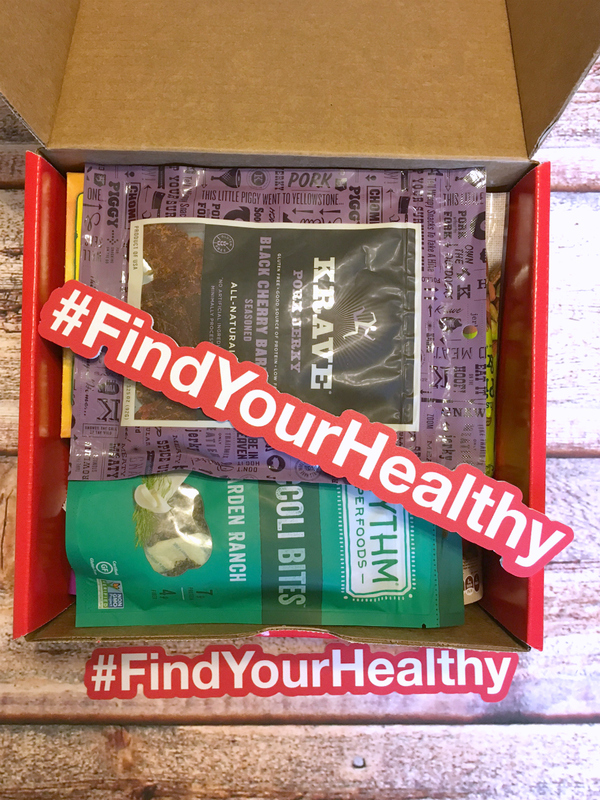 Disclosure: I’m proud to partner with CVS Pharmacy on this post for the CVS healthy foods line. All opinions expressed are my own, and all product claims or program details shared should be verified at CVS.com or with the appropriate manufacturers. As much as we *may* have complained a time or two during the last few months about the hectic schedule (or non-schedule) of summer break, the fact that we are transitioning to back-to-school next week is still shocking. Alarm clocks and backpacks. Homework and after-school practices. Picking out clothes and packing school lunches….every single morning. Back-to-school season can be tough, especially with kids in multiple schools with different start times and sports, clubs, and music classes that cover nearly every night of the week. It’s a lot to get used to. We embrace back-to-school time, despite the fact that managing the family’s schedule is a lot for a busy working mom like me to handle. Luckily, my kids are old enough to take care of certain tasks on their own – or at least help out. One of the areas that I’ve delegated to the kids for the last few years is preparing their daily school lunches. 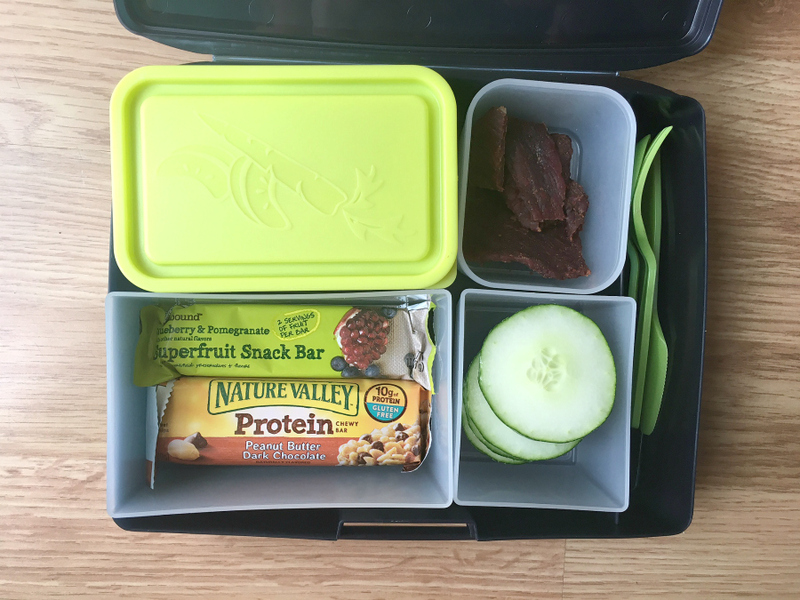 One thing I realized when we started having the kids get their own lunches ready was that I needed to have a good assortment of healthy food options for them to take or they would end up filling their lunch bag with crackers and cookies and a package of fruit snacks and call it good. Although lunch-prep at our house is far from “picture-perfect,” we’ve made a lot of progress and I think we’re doing a pretty good job at packing healthy school lunches. CVS surprised us with a box full of healthy snacks for the new school year. The kids couldn’t wait to dig in! We’ve got 2 “snack stations” in the kitchen: one in the pantry for dry foods and one in the refrigerator for fresh foods. I fill those stations with “grab-and-go” type foods that the kids can put in their lunches. Things like fruit, cheese sticks, yogurt cups, carrots and hummus, cut celery, etc are in the fridge and placed in small baggies, if necessary, so that the kids can grab a serving in a pinch without having to worry about getting out the knife and cutting board. The pantry has a basket or two of things like pre-made muffins, granola bars, nuts, dried fruits, crackers, beef jerky, etc. Again, we leave individual portions in ziploc bags so they’re easy to grab on the run. We’ve stressed the importance of adding a variety of foods to their lunch box so that they don’t end up with too much “fluff” and not enough of the good stuff that will sustain them through the school day. Not all of my kids like sandwiches, so we’ve given them some options for sandwich “substitutes.” If they love crackers, then we have them add sliced cheese and deli meats to make homemade Lunchables. High-protein snacks like nuts mixes, cheeses, beef jerky, and yogurt are also encouraged as main lunch courses, as long as they have a variety of other foods, too, like a piece of fruit. Although packing lunch the night before will not make the contents any better for the kids, it sure does make the morning routine go a lot more smooth. Plus preparing ahead of time, without the time crunch, eliminates the rushed “throw-anything-in-the-lunch-bag” problem…or worse yet, the “oops!-I-forgot-to-pack-a-lunch” dilemma as they’re trying to get out the door. Any lunch is better than no lunch! We have found success with buying a variety of foods for the kids to try before “committing.” The foods that pass the test are added to our regular rotation. There’s no use in stocking the shelves with foods that the kids will never touch (or worse yet, bring to school and throw away, uneaten!). Since I’m typically busy working every minute that the kids are at school and then busy driving them from home to practices and back again, making dinner, or helping with homework when they’re not in school, I don’t have a lot of extra time to run around town to shop. Luckily, CVS is always on the way to wherever we’re going, so it’s convenient to stop at CVS to grab snacks for the kids’ school lunches. This is just a small sampling of the delicious, good-for-you food that you can get at CVS for school lunches! Adding more healthy foods: You can find more than 250 refrigerated and non-perishable healthy foods and beverages at CVS Pharmacy stores from brands including: Amy’s Kitchen, Annie’s Homegrown, Chobani, Vita CoCo, Bai, Krave Jerky, Rhythm Superfoods, That’s it bars as well as new products from the CVS Pharmacy exclusive line, Gold Emblem abound™ which is free from artificial preservatives, flavors and colors. 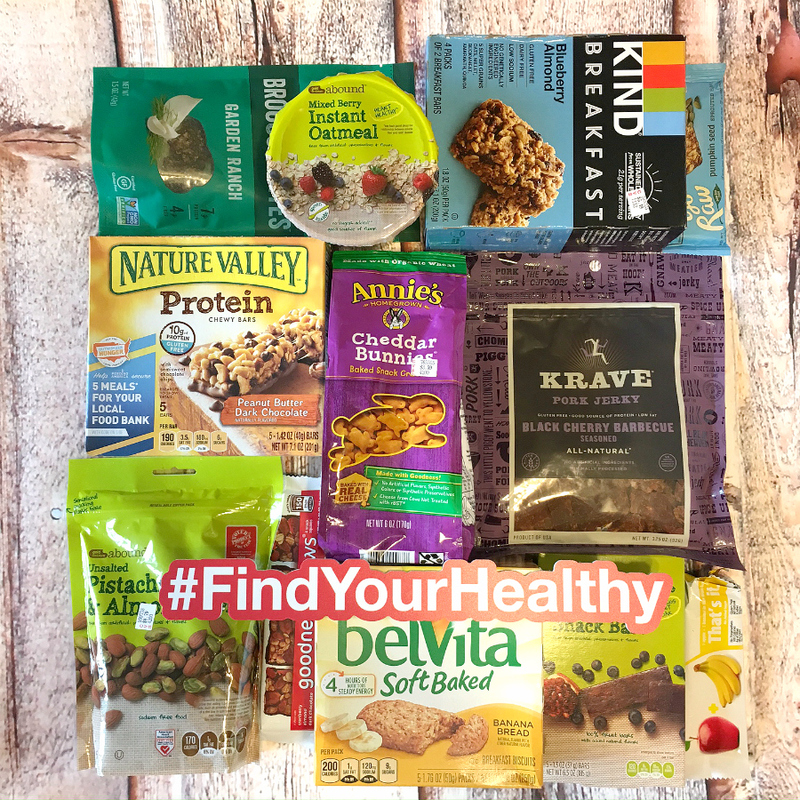 Moving healthy foods forward: Not only are CVS stores stocking a wide assortment of healthy foods (with more coming all the time), displays of healthy foods and grab-and-go snacks are being displayed more prominently, making it even more convenient to find healthy options. That includes roughly 25% of the front check out space being dedicated to better-for-you snacks like KIND bars, Larabars and Vega One bars. Healthy eating trend zones: It will be easy to spot foods that meet your dietary preferences including paleo, raw and vegan as more and more diet-friendly products are added and displayed clearly in the store. Fit Choices tagging program: CVS’s Fit Choices shelf tagging program makes finding healthier items in store so much easier by clearly identifying foods that fit nutritional and dietary preferences including: Good Source of Protein, Heart Healthy, Gluten Free, Sugar Free, Organic and Non-GMO Project Verified. It’s so helpful to scan products for my personal preferences. Be sure to check out your local CVS Pharmacy to see the healthy options that are available, or visit CVS.com for ideas that will make lunch prep easier and more delicious this school year. 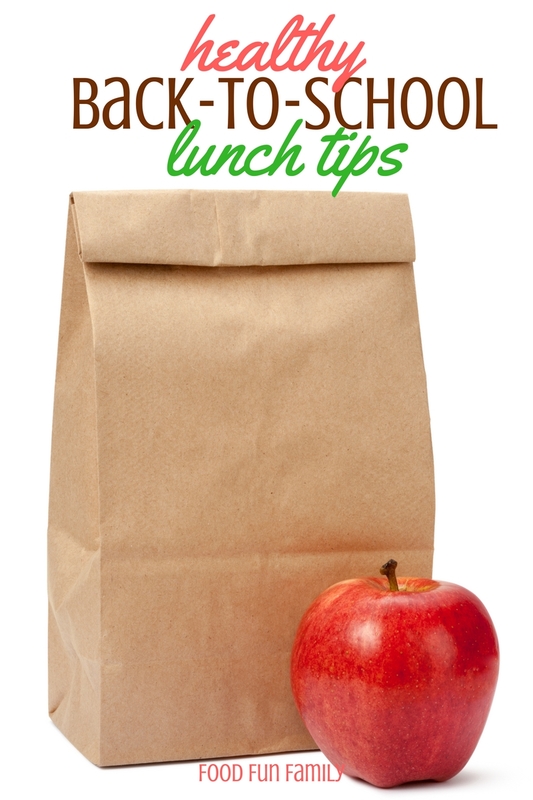 Great ideas for back to school lunch tips. I like having all of the items organized and the veges cut up and in bags, and an area for the dry foods. Pack the night before is what I do all the time!! Thanks for the healthy ideas to pack in my grandson’s lunch! I try to change it up so he doesn’t get tired of the same things.